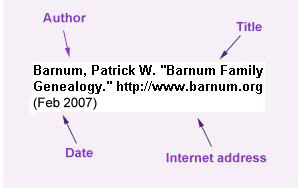 The Barnum Family, 1517-1904 mistakenly shows him as a son of William Burrage Barnum (1803-1885). He is listed in the Directory of Attorneys published by Wilber Mercantile Agency, Second Series March, 1917 Vol. XLV. No. 1, as Barnum, W. Harold; an attorney in Avonmore; population 2,500; Elgin; Ontario; Canada.